Deb Huband is now 22 years into an illustrious coaching career. Currently the head coach of UBC women’s basketball, she is showing no signs of slowing down. In January, it was confirmed that she would be inducted into Basketball BC Hall of Fame. 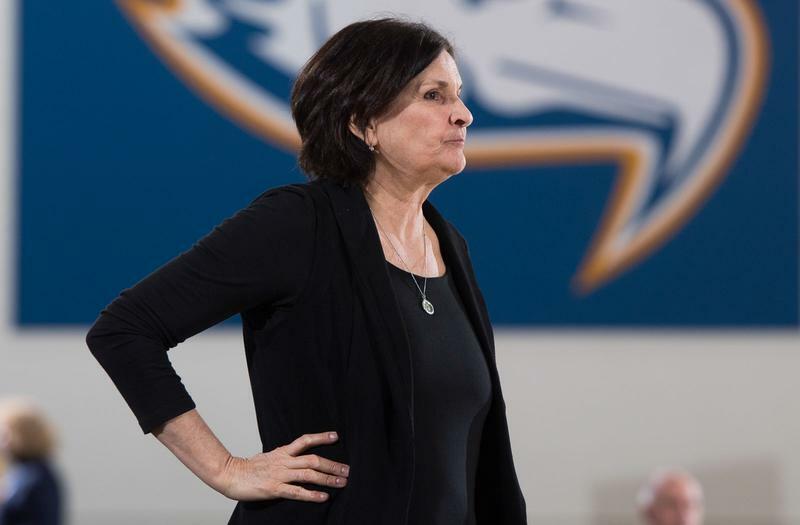 Huband has gathered over 450 wins and three national titles — the most championships won by any basketball coach at UBC — so came as no surprise when her induction was announced. “It’s an honour to be inducted into the hall of fame that has so many members who have made incredible contributions as a builder, coach or player. It’s a great honour to be included in that company,” said Huband. Huband played sports from an early age. As a result, when the time came to choose one for her college career, she had a large selection to pick from. When asked why she chose basketball above the rest, she replied, “I love basketball because of the connections and having to work together for common goals. I just love the dynamic nature of basketball." Huband is known for her career as a player. She has participated and excelled at the university level as well as the Olympics. She is also recognized for her U Sports jointly-held record of 50 points in a single game and her induction into the Canadian Basketball Hall of Fame in 1994. Huband never intended to be a coach. She initially had a desire to pursue a career with her Master of Science degree in Speech-Language Pathology. Due to her playing career, Huband received many coaching offers from many organizations. She declined many of those offers to continue her career as a speech and language pathologist. She eventually agreed to work under her colleague, Bev Smith, as an assistant coach for UBC women’s basketball. After a couple years, Huband went back to working as a speech and language pathologist for a few years, until she received a head coaching offer from UBC. Huband believes that the key to her success was taking an open minded approach to every aspect of the game, and knowing that there is always something new you can learn. “When we finally broke through as a program and qualified for the national championships in 2003/04 and ended up winning… it was like punching through a glass ceiling where you are working to build a program, teach, grow and all of the sudden you’re there," said Huband when asked about her biggest achievement of her coaching career. "I think that was validating because it took a lot of effort to get to that point." The women’s basketball are currently riding on a seven-game winning streak as they head into the playoffs this weekend. With a hall of famer and veteran coach behind the bench, the Thunderbirds look like title contenders this year and many more to come.